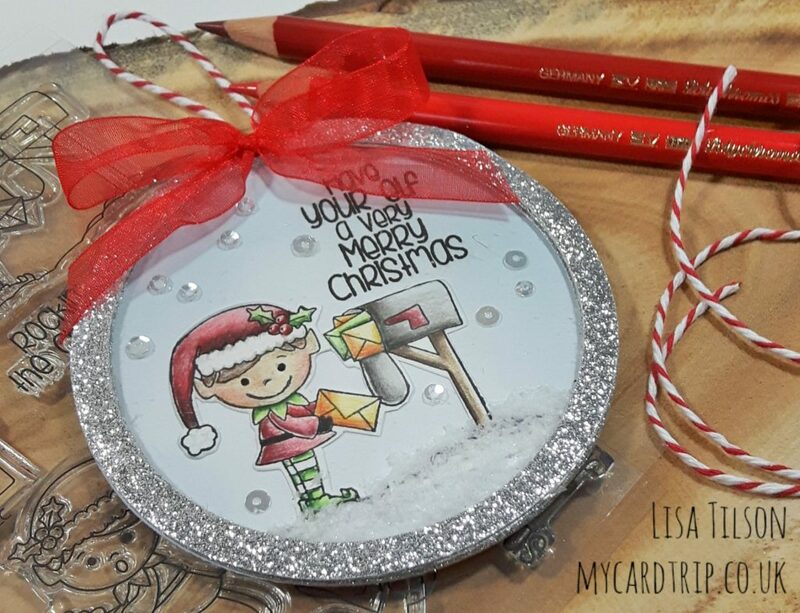 I thought I would have a little play along with The 25 Days Of Christmas Tags which is run by Tracey McNeeley. Here is my tag, and it is inspired by Samantha Mann’s tag for Day 2. This was relatively quick to put together, mostly because I had lots of the elements already coloured and cut! But regular readers will know that makes me really happy to use bits I have in my stash! And it is a large tag, but that’s OK, it’s going on a large present so will be all lovely and proportionate. Usually my shop bought tag gets lots amongst ribbon on the larger presents, so it’s nice to have a bigger one. And it is not quite a shaker, but it has the look of a shaker. And it’s so cute that I am going to ask for it back after the present has been opened! Haha! The image is from Pink and Pain’s Santa Mail set which I won last year and coloured recently in the 30 Day Colouring Challenge. The silver frames were die cut from glitter paper and stacked with a sheet of acetate sandwiched in between. I added some white Flower Soft for the snow – go on admit it, you remember Flower Soft don’t you? Well I barely ever used it but I had a little bag of it in my stash as I always knew it would be useful to create snow. So my image was stuck to the back panel with glue, the sentiment stamped, fake snow added and a few sequins adhered to give a little sparkle inside. I also created a little hangy loop thing and heaven help me, as I am rubbish at them, a bow! So that finishes today’s post. 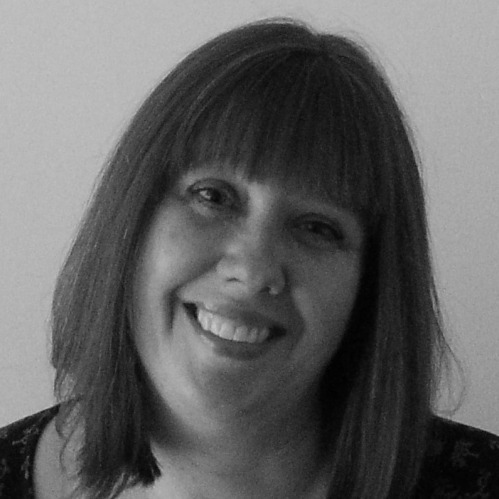 I hope you like my tag and maybe think about joining in with Tracey’s fun event in the run up to Christmas – all rules are listed over on her blog (link above). I will be back soon with another project. I hope you have a great week. I love your round tag! That little elf is the cutest! Your round tag is fabulous! I love the images, your coloring and that silver glitter around the edge. Goodness…this is so gorgeous and CUTE! 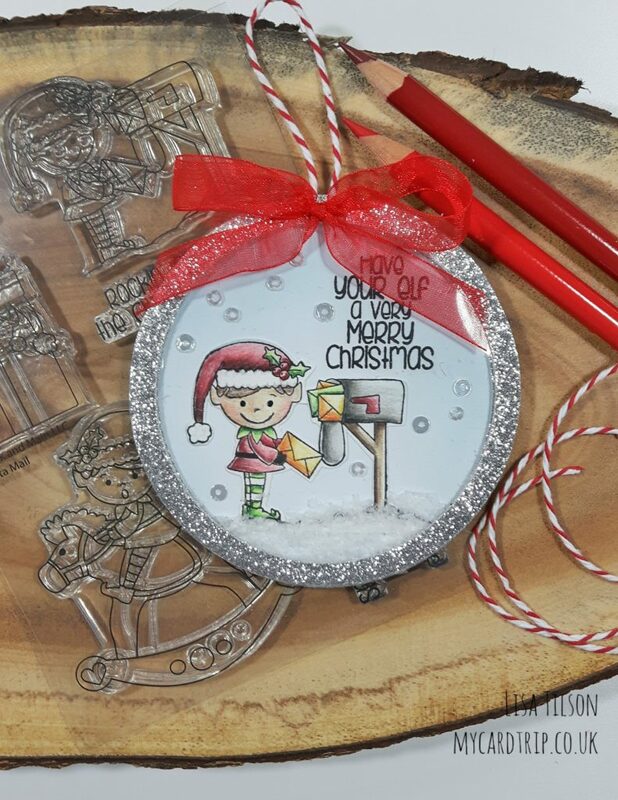 So glad that you join the fun over Simon Says Stamp Wednesday “Christmas Gift Tag” Challenge! Awesome details and design! Super work! Adorable image and super cute tag, love the asking for it back lol. I love it when there are things in the die-cut bucket or the already coloured box. Oh my….this is about as sweet as it gets! Love your adorable tag. Thank you so much for playing along with the 25 Days of Christmas Tags!